For a state where the majority of the employees are primarily employed in the government sector, Nagaland can actually be described as a very exam centric state. You have many people preparing for exams for employment or degrees, certificates, diplomas etc. all the time. The humorous part is that most of our people follow the typical last minute preparation method of cramming everything the night prior to the exam, right down to hunting for notes. It can be stressful, and it can be gruelling. However, it doesn’t always have to be like this. Naomi Aye of BA 2nd Semester English honours takes us through an inside story of siblings in a Naga family who don’t just eat and pray together, but also study together. Never pass on a chance to make memories. They are bound to warm your heart on the coldest of days. There are things in life we often take for granted and let go unnoticed. Until, one day, much too late, you notice they’re gone. I would like to share a sweet childhood memory of mine. Oddly, it comes from a stressful student experience of examinations. Examinations are practised worldwide, whether one likes it or not. This practice is universally adopted to test the skills and abilities of the examinee. The word “examination” is equivalent to “stress” or “worry” for almost every student. Exams cause real stress, panic and turmoil among students and this feeling of fear lasts till the exam ends. As the exam approaches, exam fever touches its highest point. We worry about the questions. Will they be tough, average or easy? Every student goes through exam tension. Concerned teachers and parents advise us to have a healthy diet and sound sleep before the exam to avoid any hindrances during exams. But in reality, during exams, some students actually skip their meals and sleep, burning their midnight oil out of stress. I still cherish the memory of how I prepared for an exam with my siblings. I was in the 11th standard, when my younger brother was about to appear for his HSLC and my elder sis her BA-1. We would end up studying for hours and hours, preparing for the exams. In the midst of our study routine we would burst out laughing at some silly joke cracked by my brother. Suddenly we would abruptly stop laughing. Weird?! And then continue with our serious study. After a while, we would stare at each other’s exhausted faces. Not sure if it was the studying or laughing that made it exhausting but we would continue studying anyhow, peeking a glance every now and then at one another to see if any of us would pop up with the idea of taking a break, which was funny. However tired we were, we somehow had the zeal to continue studying, and tried to properly concentrate on our lessons. When we heard mom’s emphatic voice calling for tea or lunch, once again, we would take a peek at each other. Instead, we would try to go last, rather than be first at the lunch or breakfast table. This was because the last person would get to study more than the first ones. I, obviously, am the first one to walk out of the room, not out of hunger but to lead them to the lunch and breakfast table, otherwise we would remain rooted at our study table, until one of us stands up and walks out. I was the one who always needed to take the lead. If not I bet, we would have missed out every breakfast or lunch and suffered for the sake of our ego! After a meal or during study break, we would take a walk together, for not more than an hour, and the whole time we talked about how we would spend each day after our exams are over. Then, as we always did, we would burst out in loud laughter at silly jokes. After a while, we would wonder about the time and hurriedly return to our books. Everything we did during exam days was to just study and laugh in between. Sometimes, we would be caught laughing by my parents and get a lot of scolding. But it did not matter and we continued our routine of “study and laugh”. In fact, during exams we enjoyed every single day. We shared an elated feeling every single moment. It was the first time in my student life that I ever loved exams and I am sure they shared this same feeling. There was a kind of competition and lots of fun moments. 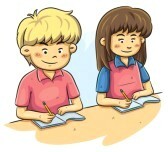 It was really the best exam ever, studying at home with elated moods and writing to our satisfaction in the exam. We made beautiful and sweet memories even out of the most stressful time in a student’s life. The memory or the experience that I just shared might seem unusual and boring, but it is the most treasured memory that I hold dearest to my heart. It is still very fresh to me, warming my heart in my coldest days, and bringing a wide spread smile to my lips. It is a sweet memory that will linger with me forever. Memories do not necessarily have to attract attention or be unique. It can be anything trivial; it might seem insignificant to others, but can put a smile on your face the moment you remember it. Memories are always the light in the darkest moment of your life. It helps you through tough times, lifts you up and gives you strength when you are weak. It is something that gives you hope to go through the miseries in your life, when it knocks you down. So, cherish your memories, because they are what will make you strive to be happy. Beautiful memories will delight your heart and paint your life with colours of joy. They are priceless experiences that one wishes to recall, each and every moment, to be treasured forever. Remember, whatever captures your heart is a memory you wish to cherish, so let it linger on and “don’t let go”.